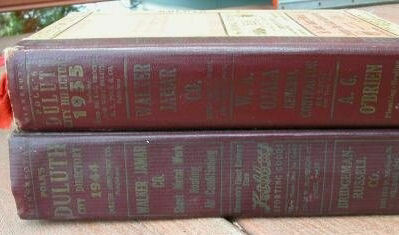 DULUTH TELEPHONE DIRECTORIES. The Zimmerman lived in Duluth until Bob Dylan was six (1947), when his father had polio and the family returned to his mother's hometown, Hibbing, where they lived for the rest of Dylan's childhood. 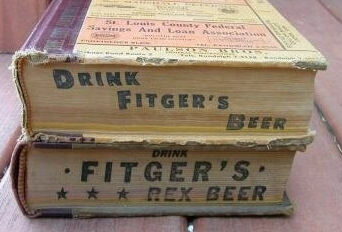 Fitger's Beer 1944 (and 1935) Duluth Directories, showing the Fitger's Beer stamped ad at the bottom of each book. These directories were used to find people based on their telephone number or their address. This directory also gave personal information regarding the person's employment. 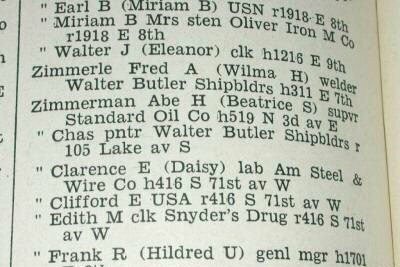 Included in the 1944 Directory is the Bob Dylan family, under the Abe Zimmerman name, located at 519 N. 3rd Avenue East, Duluth, MN. Lists their names, address and employment at the time.